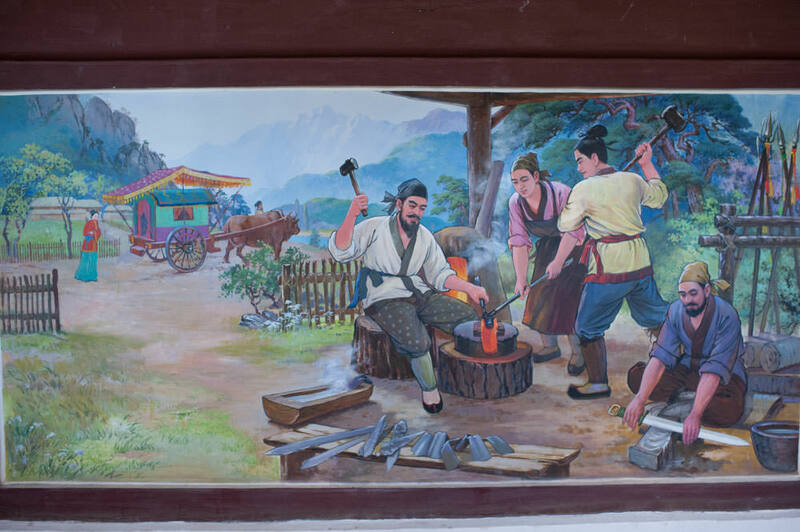 Rediscovered in the 1970s after Kim Jong Il had urged North Korea’s archaeologists to find it. 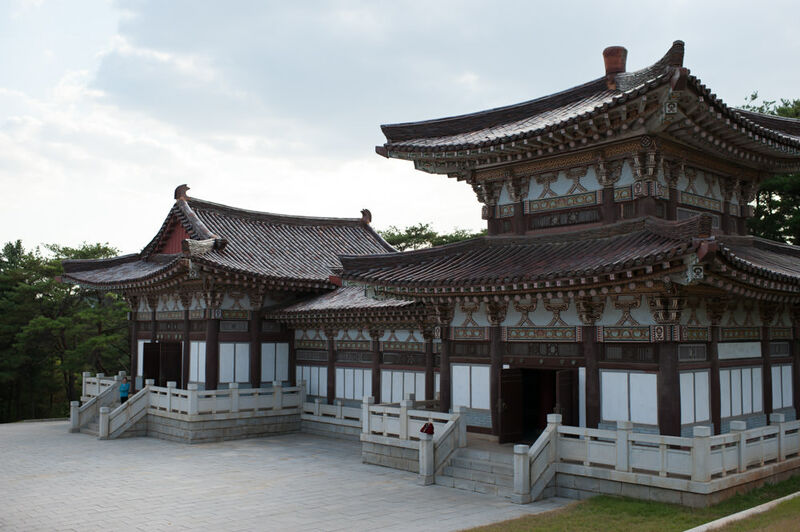 It was restored and renovated in the 70s and 80s. The site has since become a national landmark. 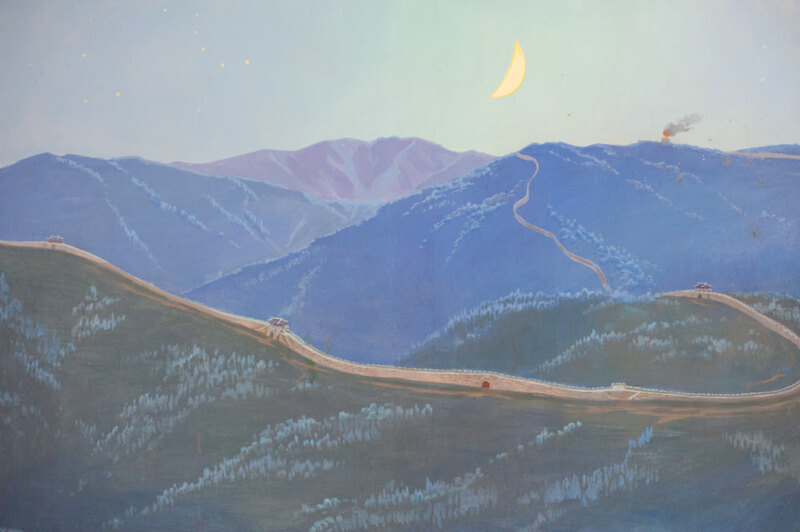 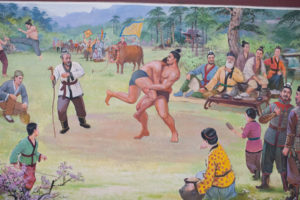 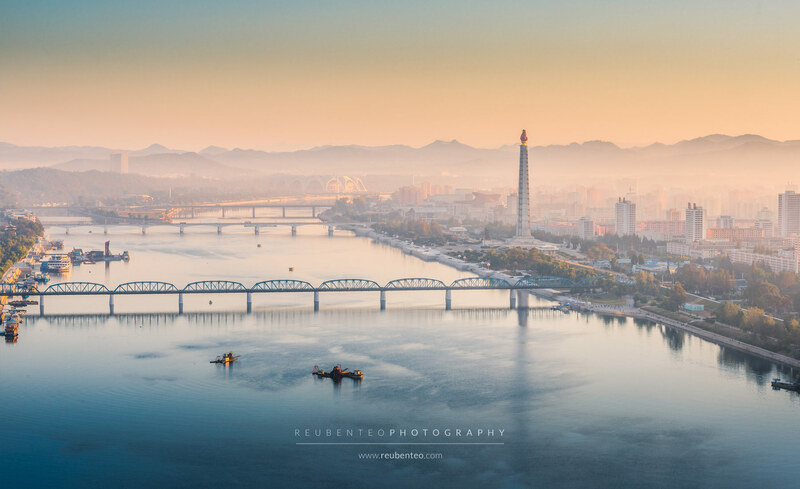 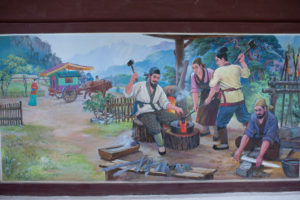 Koguryo, the state that Tongmyong founded, has a particularly strong historical significance in North Korea because one of its capitals was Pyongyang. 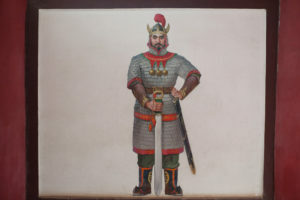 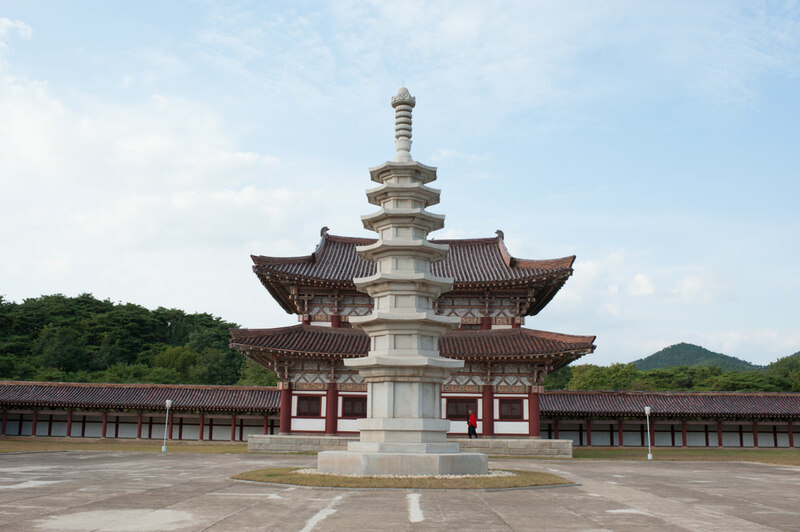 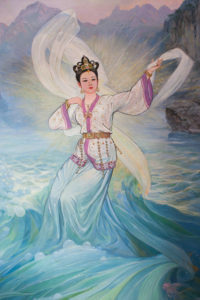 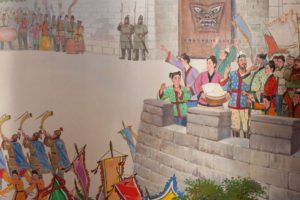 Koguryo (고구려; 高句麗) was one of the three kingdoms of ancient Korea, the other two being Paekche (백제: 百濟) and Silla (신라; 新羅). 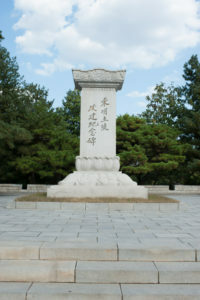 The site is recognised as a genuine Koguryo tomb, but whether Tongmyong’s tomb is among them is still disputed among outside historians. 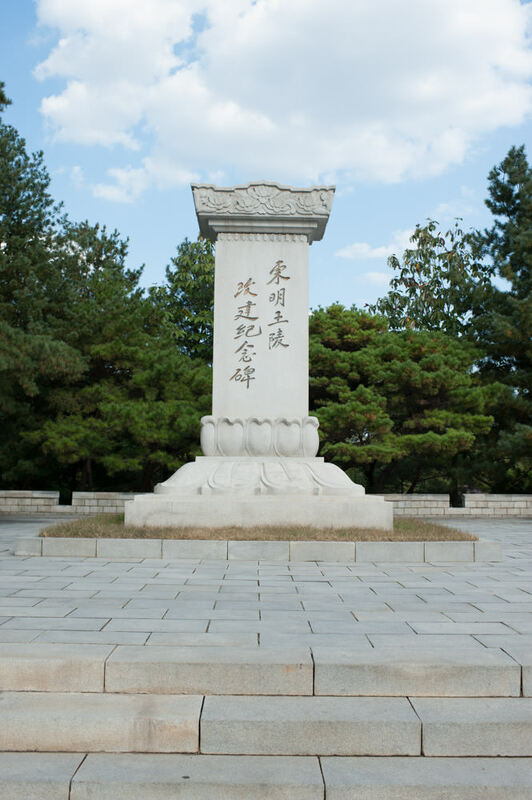 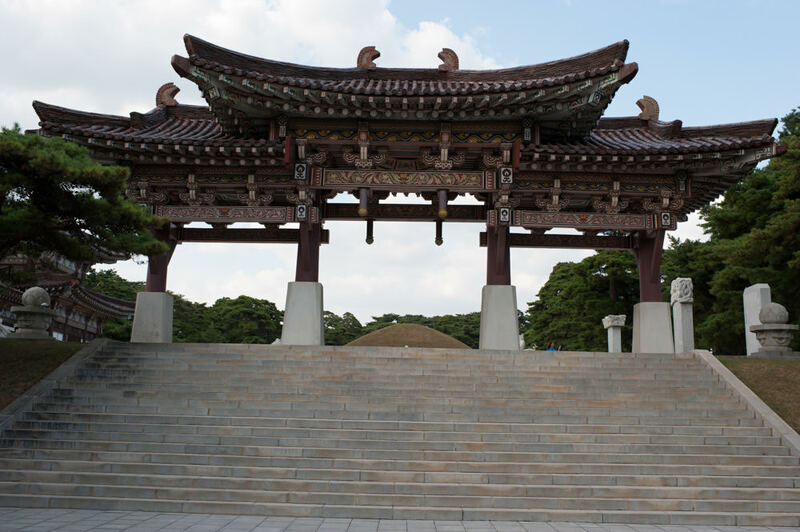 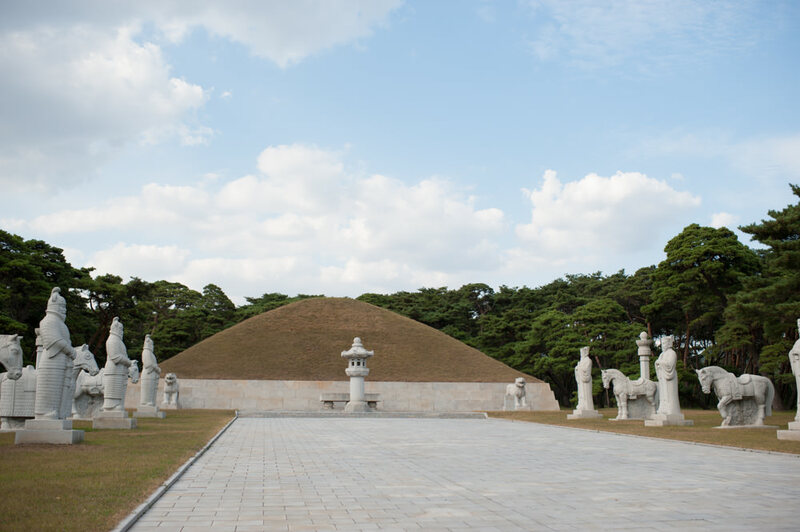 The tomb also features a stela with “Tomb of King Tongmyong” written by Kim Il Sung in his own handwriting in Chinese characters. 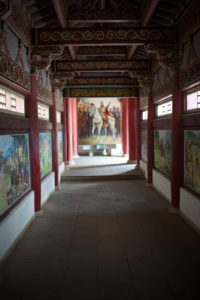 The complex also contains a restored Buddhist monastery. 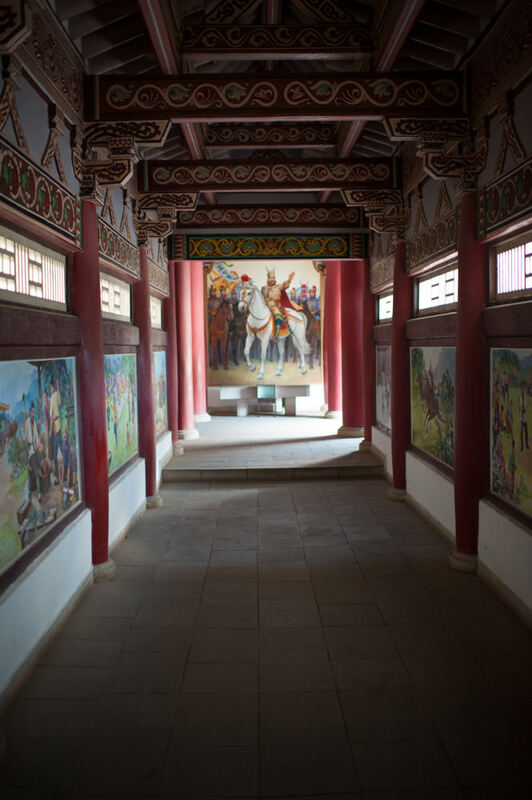 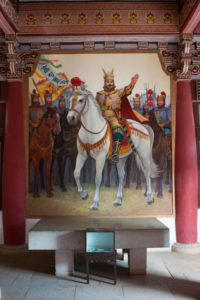 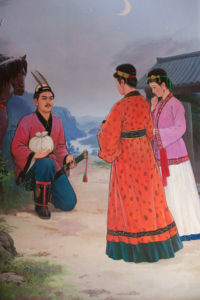 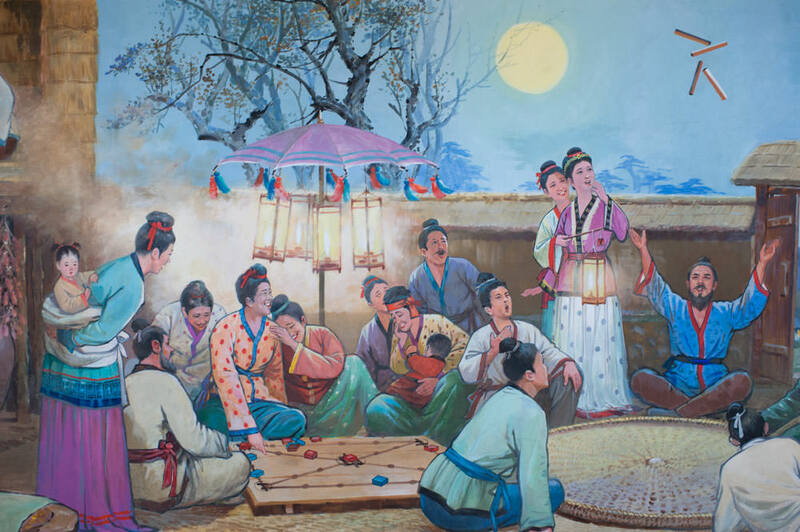 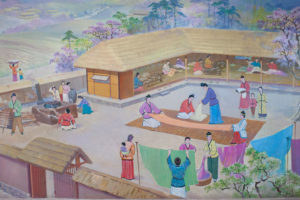 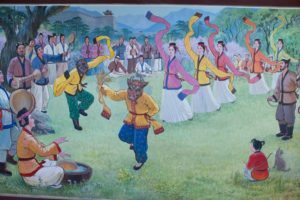 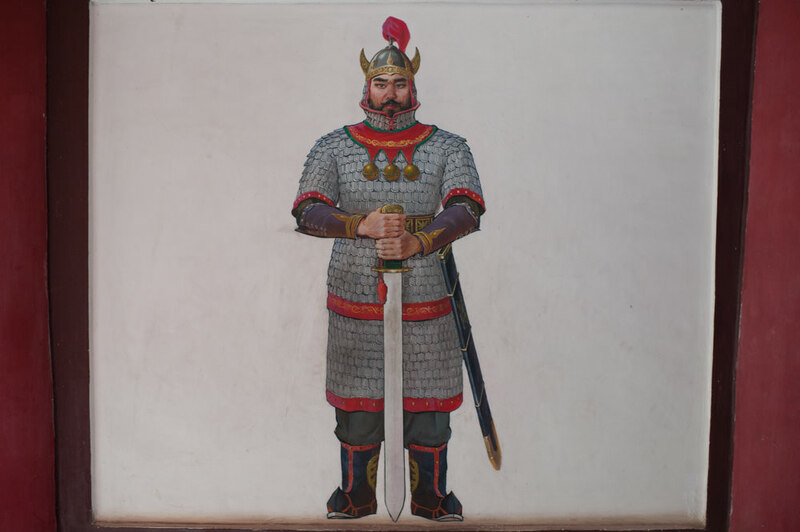 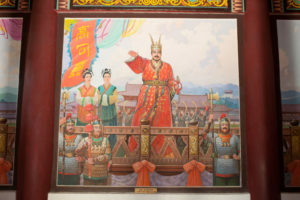 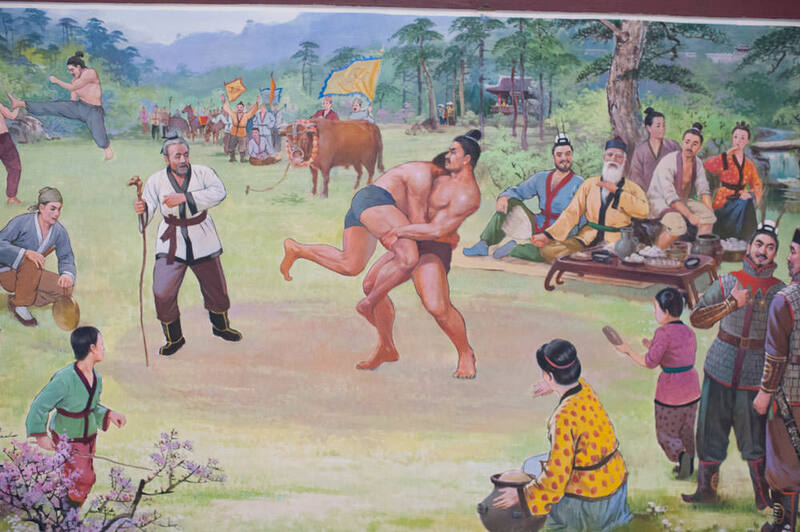 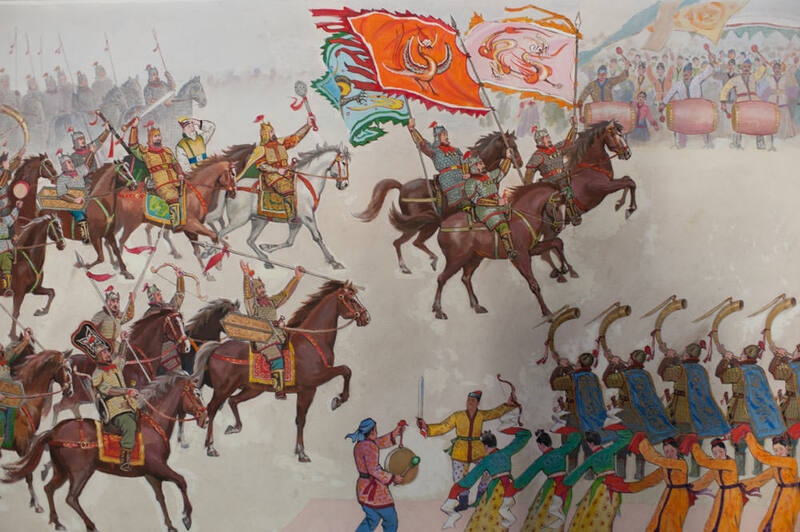 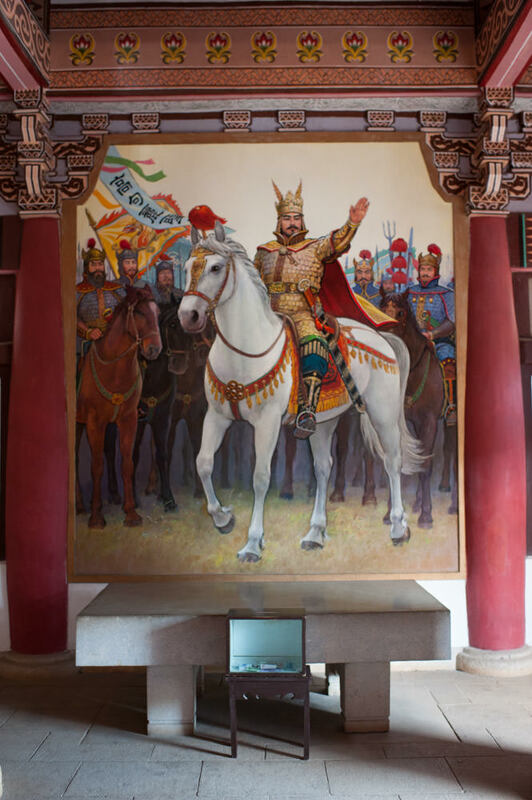 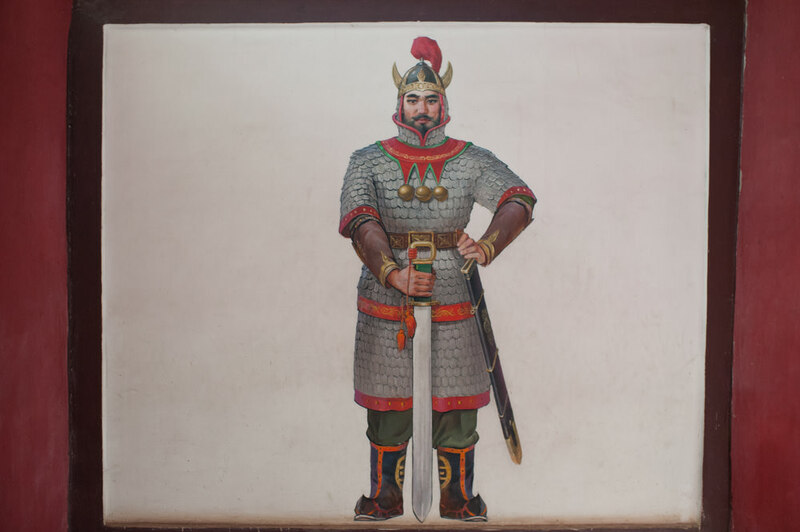 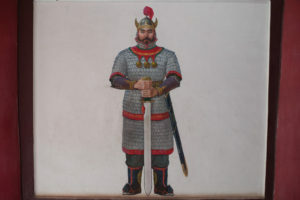 The reconstructed tomb features a set of murals depicting the life of King Tongmyong and the Koguryo people.